My recent travels and adventures were so inspiring and eventful that on my last flight I had decided instead of pining after the quiet days being at home, I must cast on something selfish that will help me reconnect with my love for knitting and make something I am proud of and something new to me to explore. To remind me why I do what I do. Selfish knitting it is! Being naturally curious, my eye occasionally wonders as the trends evolve to a certain color or color combination and ever since Pantone announced 2 new colors for the year, I have been thinking how can I find a way and incorporate it into my wardrobe. Which hue I can have it a bit more fitting… I have been noticing this chameleon of a color. The quartz indeed, but glowing and barely there color, yet quite elusive when viewed under different lighting. Having gone back to sewing again majorly thanks to this amazing make space shop that opened up on the same block as my local yarn store, I thought this is a perfect opportunity to pull out that fabric stash or overhaul it and get maybe something new, while having something fresh to break apart my routine. I happened to buy some of the amazing Italian linen fabric just in that similar color, the glowing color which changes whether you are outside or on the inside. Between barely there pink and lavender and even a stark white when you look at it outside. I have had a privilege of seeing Jared’s progress developing PLAINS yarn, the new limited edition Brooklyn Tweed yarn using 100% American Rambouillet Wool and when the final palette was launched the color Flurry really stood out to me as the color I was very much intrigued and excited by! And I absolutely had to make something with that color and a way to try this yarn. I do not work lace often myself, but I did decide to make something different. For my selfish knitting project I have chosen something easy and hard at the same time. As Japanese say “natsukashî” (なつかしい), meaning that it brings back memories, being nostalgic. With this project I am remembering days of living in Japan and the beaches full of concrete geometric figures everywhere. Tetrapods come in all shapes and forms and sizes there. And I used the tessellation of their shape as my inspiration for designing TETRAPODS SHAWL in my Capsule Collection by Brooklyn Tweed. This stitch pattern is also something that to this date makes me excited! It is the first lace stitch pattern of such complexity that I ever designed. In my aspiration to be authentic and find the unique way of translation my inspiration into my work. Even though original TETRAPODS samples are made using Brooklyn Tweed LOFT, the crisper and finer gauge of PLAINS promises to make for a great summer project even when the humidity is making it hard for us here. And because the pattern comes in a variety of 3 different sizes, one can choose which suits them best! I am particularly excited to use lighter color and finer gauge for a more open fabric that I can get away wearing even during cooler summer evening. And yet again, photographed in a slightly different light and it is showing absolutely different hue, this pale bluey grey. All 3 images of the yarn are of the color Flurry, haven’t I said how elusive it is!? And I really love that about it! And just because it has been a while…. JOIN ME FOR TETRAPODS knitalong starting July 4th! 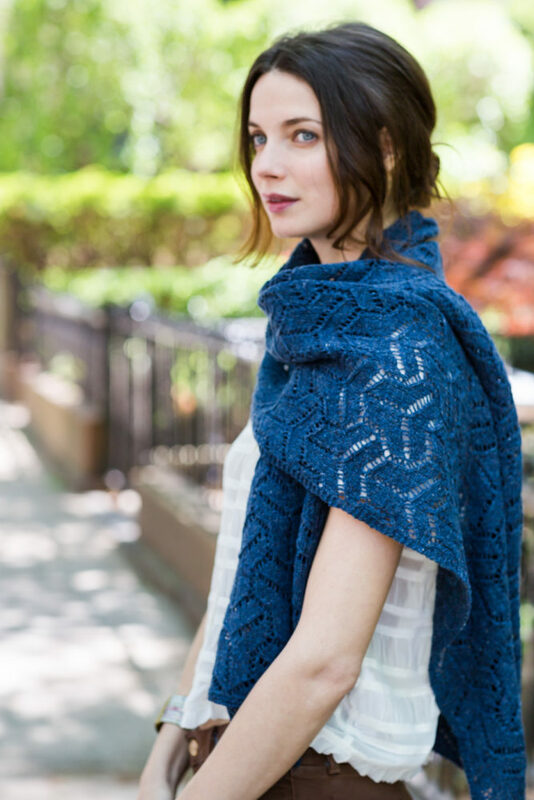 This KAL will continue through end of August, to make sure all of us can enjoy this lace project at their own pace! Yes, for many it’s a holiday and vacation time, but it is also the best time to get some selfish knitting done! I have just gotten my 4 skeins of PLAINS to make the biggest version of the Tetrapods. My US 5 (3.75 mm) needles are ready to make my swatch! 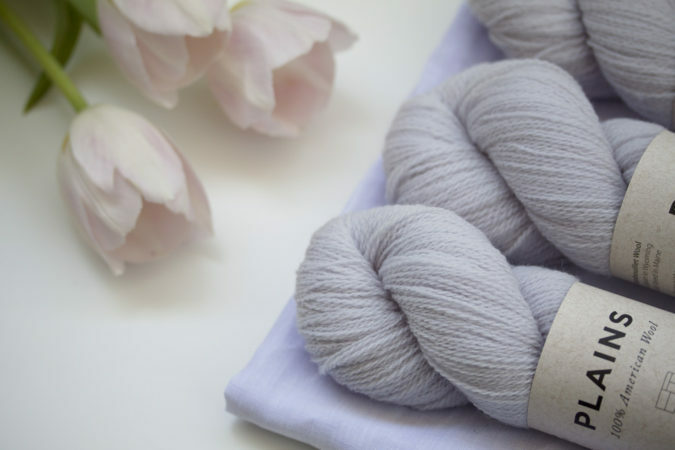 BROOKLYN TWEED yarn company has been kind to offer a special discount for my KAL participants! When you place your order for the Capsule Collection Book and PLAINS yarn you will get a $10 off your yarn purchase! It may be just the right opportunity for you to finally try PLAINS as well! Just include Olga_Lace_KAL_2016 coupon at the check out and later join me on Olgajazzy Ravelry Group for a roll call and general chatter for all participants to connect! At the conclusion of this KAL there will be giveaway prizes including more exciting yarn and patterns! Can’t wait to cast on! Quick question: is the $10 applicable if you make a yarn purchase only? I ask because I already purchased Capsule from BT when it first came out. Thanks! I think so! But let me ask the folks at Brooklyn Tweed for more details! 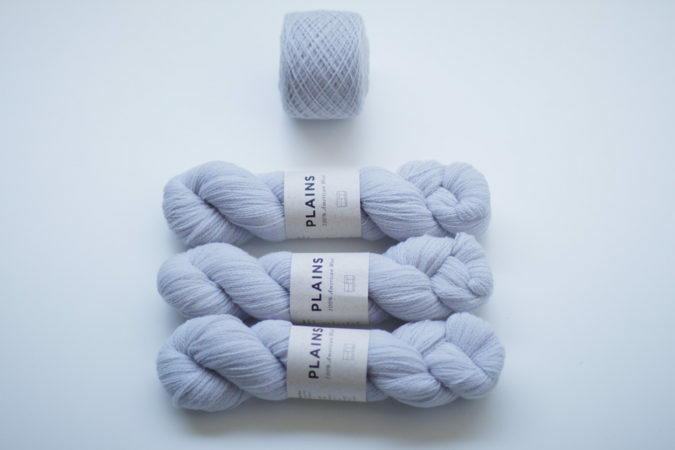 Thanks – FYI, I just did a “test run” of the code with 2 skeins of Plains in my shopping cart and got an error saying that a minimum purchase of $52.50 is required in order for the code to be valid. I just checked with them and the coupon is valid for the purchase of the book and Plains together, sorry! I am in! I have the Capsule collection as I am a big fan of yours and this pattern has been in my queue for a while now. I will be using a black tweedy yarn that I purchased at my local Yuzawaya. Olga-did you shop there when you lived in Japan? Hi Jacqueline, that sounds very nice! Yes, I often visited Yuzawaya in Yamato and Yokohama Bay Quarter when I lived there. I didn’t buy much yarn because it was very different and I couldn’t design with it, but I always found fun stuff to buy and use for personal projects! I miss their arts and notions sections so very much!! Thanks for joining us for the KAL! I would love to join you for the KAL, but have a couple of questions about it. 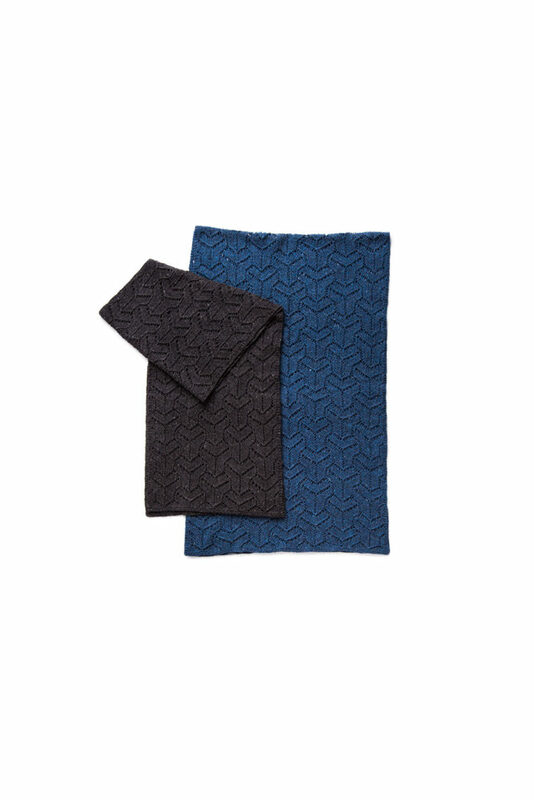 I would knit the Tetrapods with yarn bought here in Spain, should I buy the pattern at Brooklyn Tweeds website? How do I sign up for the KAL? Just ordered my yarn and pattern have downloaded pattern, now how do I join the KAL? Thanks. 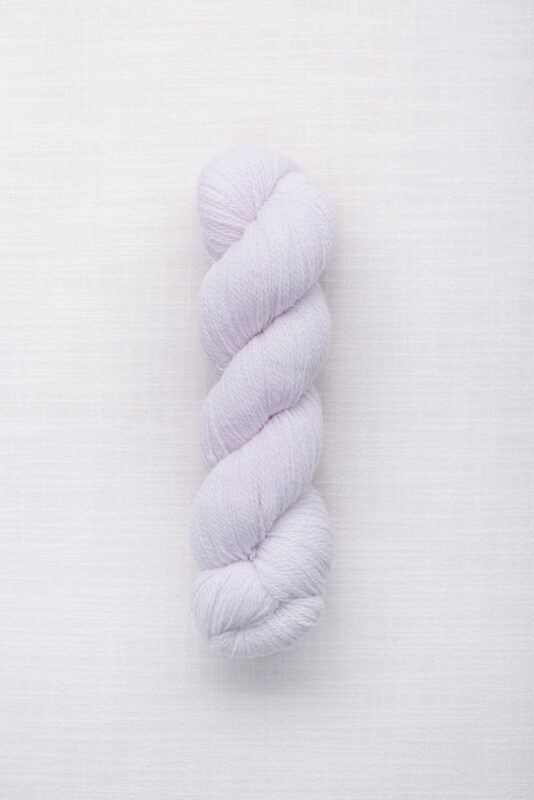 I just ordered the Plains yarn, in the color morandi. Looking forward to start this KAL. I already had the book with the pattern because I was planning to make “Apex”, but will do this KAL first. The coupon code worked fine when I ordered just the yarn. Thank you so very much for your support! You are very kind! A little message from Biarritz(France)! I like all your patterns and all your photos. But it’s difficult for me to communicate in english and I’ve so many things to say about your creativity! Continu and don’t change, you’re so funny!